Doris Ethel Pearl (Fennell) Hossack was called home to heaven on December 17th, 2017 in Mesa, AZ. She was born in Mosa Township, Ontario, Canada to parents Charles (Chad) Fennell and Beatrice Ida (Leach) Fennell in 1928. Doris worked on the family farm, Skunk’s Misery, in Newbury, Ontario, Canada. The family sold the farm when Doris was a teenager and moved to Thamesford, Ontario, Canada. She went to hair-dressing school and became a licensed hair-dresser. She worked out of her home. It is in the town of Thamesford that she met the love of her life, Don. He joined the Royal Canadian Navy and Doris waited for his return. They were married on July 5th, 1947. Doris and Don moved to Embro, Ontario, Canada where they had two children, Christopher and Duncan. When Doris was diagnosed with rapidly advancing osteoarthritis in 1963, they made the difficult decision to move to Arizona and the dry weather. In Arizona, they added two more children to their family, Dianne and David. Doris was an active member of St. Mark’s Episcopal Church, and had served as the President of the Episcopal Churchwomen. She started the Thursday Angels as well as serving in many other ministry groups. Doris was a member of the Mesa Music Guild, the Mesa Country Club, and other women’s organizations. She supported Don in his Rotary and other community endeavors, and the various Lumber Dealers functions. Doris was preceded in death by her husband Don in 2015, parents Chad and Ida, brothers Victor, Jack , Harry and Wes, and sister Mary. She is survived by her children Christopher (Judy), Duncan (Randee), Dianne (Kevin), and David (Jennie); Grandchildren Heather (Eric), Chad (Liz), Heath (Catie), Geoffrey, Jaimee (Rock), Cody (Lacy), Cailey (Sean), Talan, Duncan, , Cory, and Liam; Great-Grandchildren Chelsea, Connor, Ethan, Carlee, Elizabeth, Dalton and Finley; Brother-in-law Larry Hossack (Patricia) of Canada, Sister-in-law Ruth Wallace, and so many nieces and nephews whom she adored. A Celebration of Life Service will be held on Saturday December 30th, 2017 at 10AM, at St. Mark’s Episcopal Church, 322 N. Horne St., Mesa, AZ 85203. 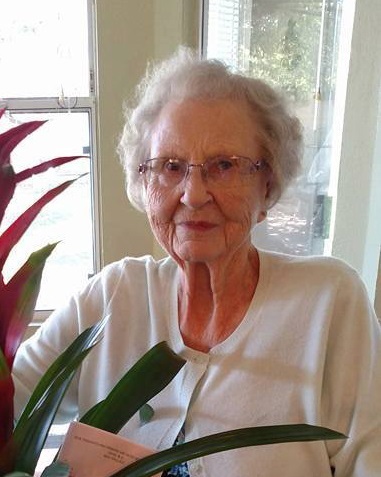 In lieu of flowers, donations can be made to Doris’ favorite charities: St. Mark’s Episcopal Samaritan Fund or The Mesa Caledonian Pipe Band, P.O. Box 21032, Mesa, AZ 85277. Bunker’s University Chapel handled the arrangements. We will all miss you mom! We love you. Doris was like a grandmother to Tristan. We all were greeted lovingly by her and family. Don will be there for her! Our sincere condolences to all her families. Such a wonderful lady. We all have fond memories of Aunt Doris and her generous hospitality. It would have been quite the family reunion. I was so glad to see you, Aunt Doris, on my travels home from California. Your love for all of us will never be forgotten. Rest well!! I will miss you. Our thoughts and prayers go out to the entire family. God bless. Dear Hossack family, Praying for peace and comfort during this difficult time.